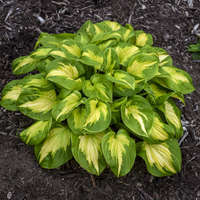 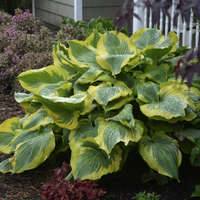 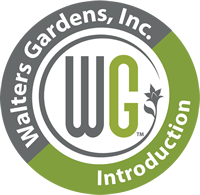 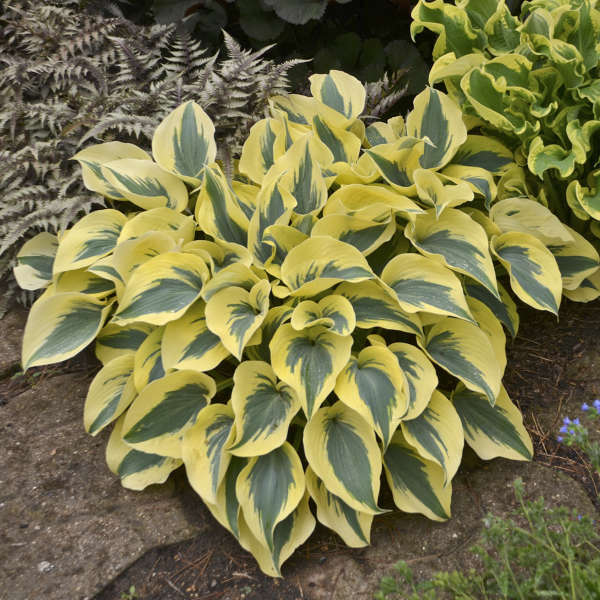 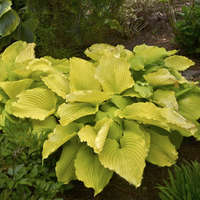 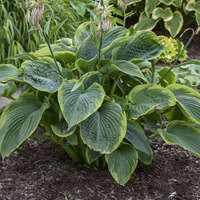 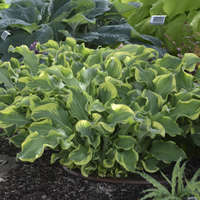 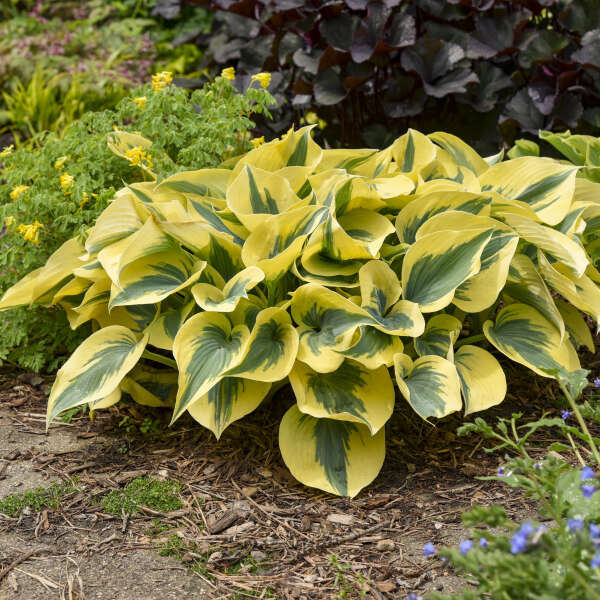 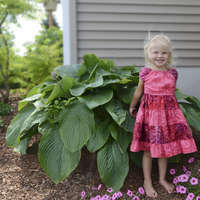 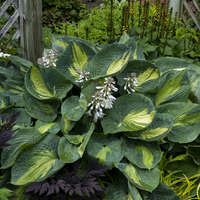 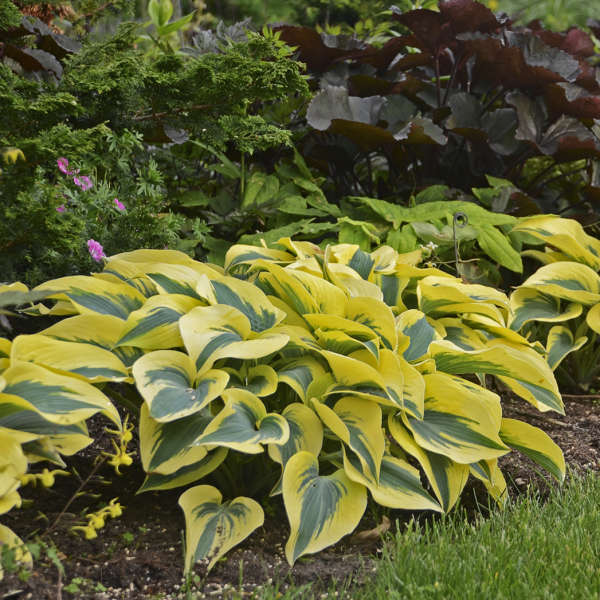 ‘Autumn Frost’ is a sport of the 2010 Hosta of the Year, ‘First Frost’, which in turn is a sport of the champion of blue hostas, ‘Halcyon’. 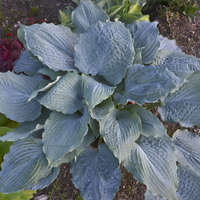 It is a showier version of ‘First Frost’, displaying extra wide margins. 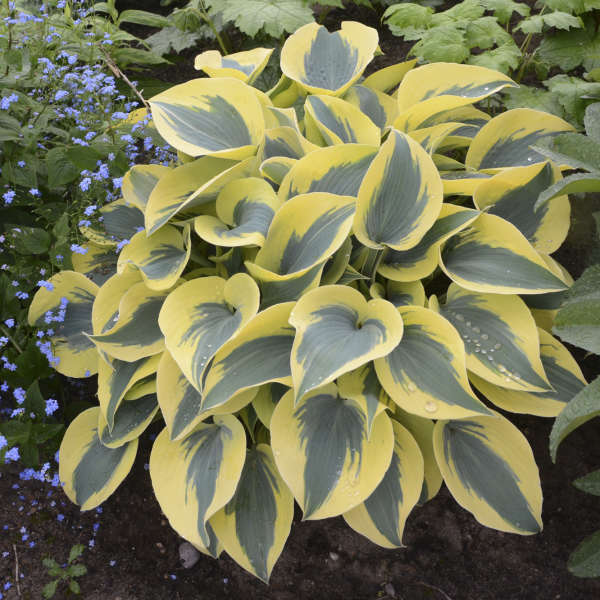 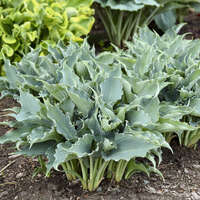 The leaves emerge frosty blue with a bright yellow margin that lightens to creamy white during the summer. 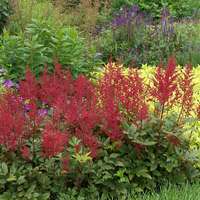 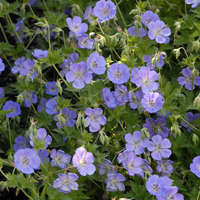 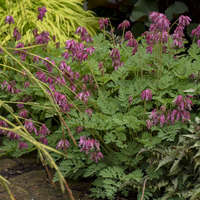 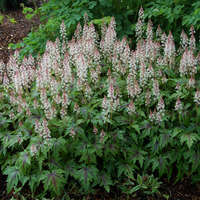 It forms a medium sized mound topped with light lavender flowers in mid to late summer.